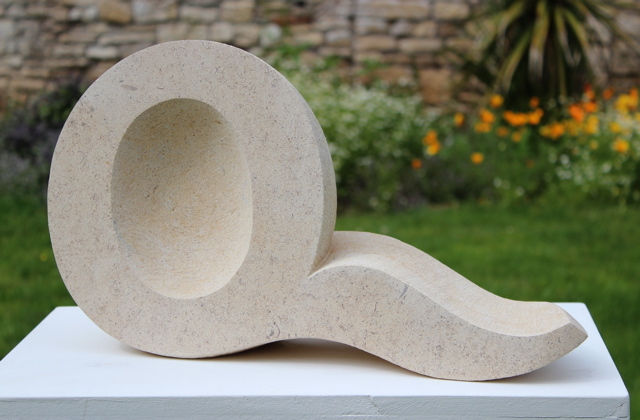 I have a couple of new pieces in this years Bath society of Artists Summer Exhibition, at the Victoria Art Gallery in Bath. It is open Tuesday to Saturday 10.00 – 5.00pm and Sunday 1.30 – 5.00pm. Closed Mondays. Until the 31st August. It is a good show again this year – it seems to me to get better each year I have shown in it. Very eclectic of course as you would expect for an open exhibition, with work of a consistently high standard whatever the genre. 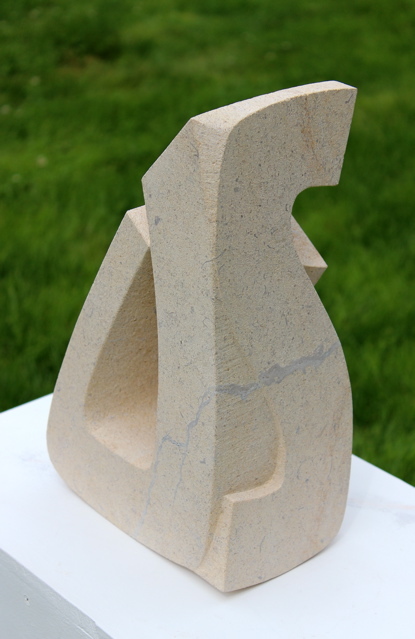 I am showing two word sculptures in Hartham Park Bath Stone, carved in triangular shaped off cuts. “Q” and “US”. The letters have been designed to fit in these two odd shaped pieces of stone. 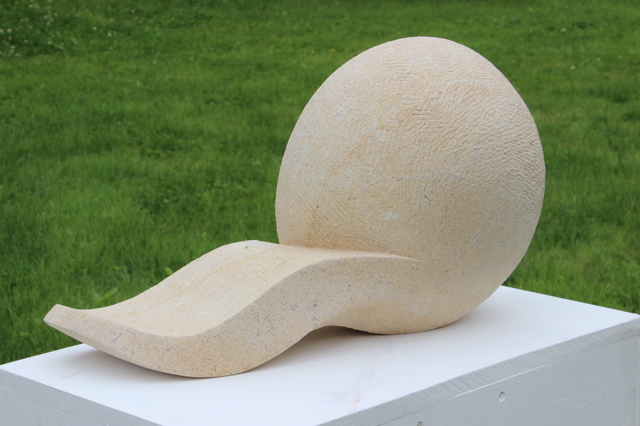 After my great experience of carving “Kainos” at the Festival of Stone I was inspired to continue pushing my exploration of the sculptural possibilities of letters and stone. Serendipitously there was a wonderful crystalised Ammonite fossil I was able to work into the back of “US”. Go see if you can and for those who can’t make it here are some pictures…. 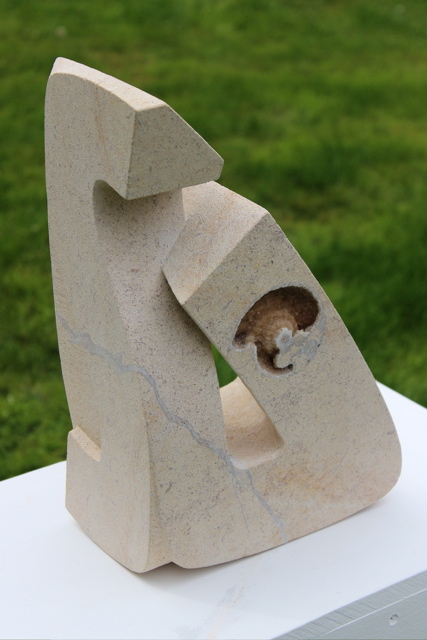 This entry was posted in sculpture and tagged Bath Society of Artists, sculpture, Stone carving by iaincotton. Bookmark the permalink.